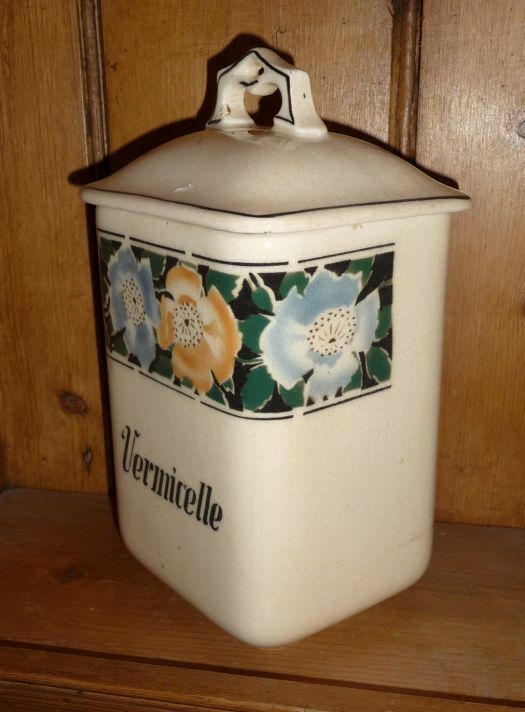 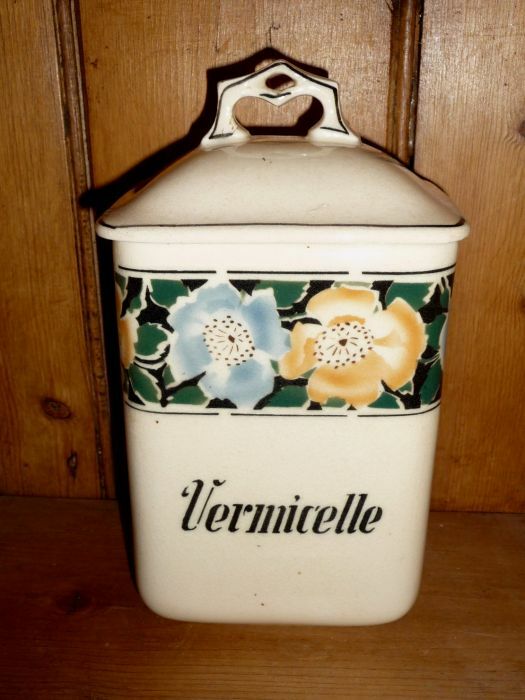 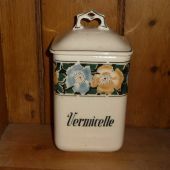 Canisters for vermicelli are rare. 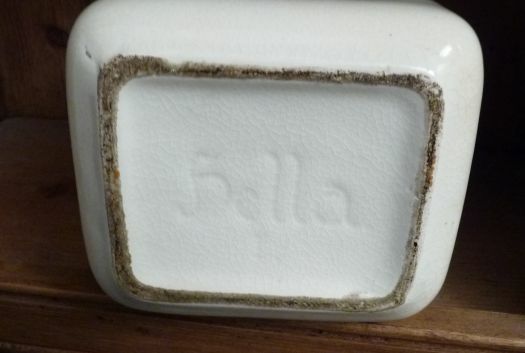 This one is in good condition ; there is some crazing and it is a little stained ; it helps to remember that it is an old piece ! 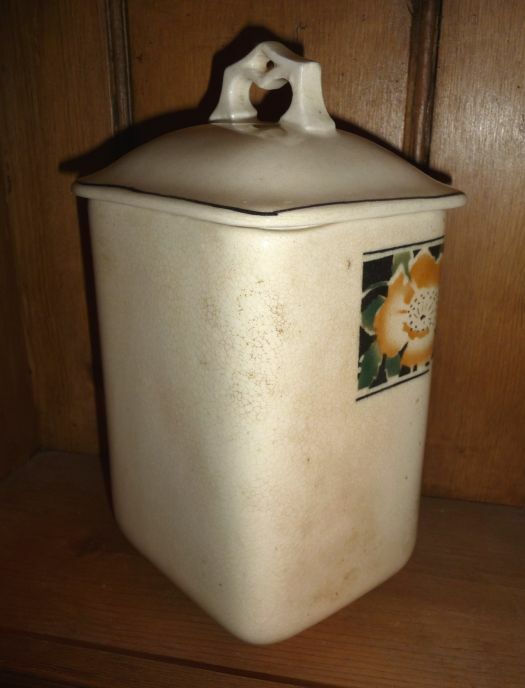 You will notice how the button of the lid is nice.